The rain clouds have parted, the daffodils are out and the days are getting longer. That can only mean one thing – its time to spring into action people! Are you itching to get out and get active? Perhaps you’re still seeking that one thing that will enable you to tick off the ever unfulfilled new years resolution. Well, we’ve a whole host of activities planned across the coming months that could be just what you’re looking for! Join in the Big Birthday celebrations! On the 15th April Pharmacist Support celebrates 178 years of support and you can celebrate with us! 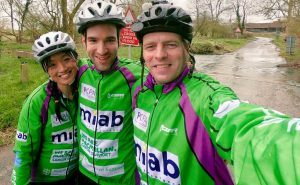 Why not sign up to a #WheelieBigChallenge – this could be cycle or swimming related, running or hiking! 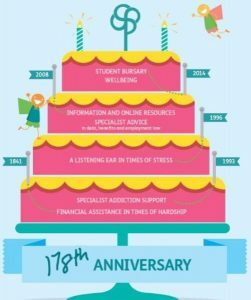 If these activities don’t float your boat however, how about getting your friends and colleagues together to host a Big Green Birthday Bake Sale or quiz? Or keep things really simple and show your commitment by signing up to become a regular donor – £178 across the year is just £14.84 per month! Whatever you choose, committing to raise money for PS for our birthday is your chance to do something amazing for your colleagues in the profession. You’ll look sweet, upon the seat of a bicycle made for two! 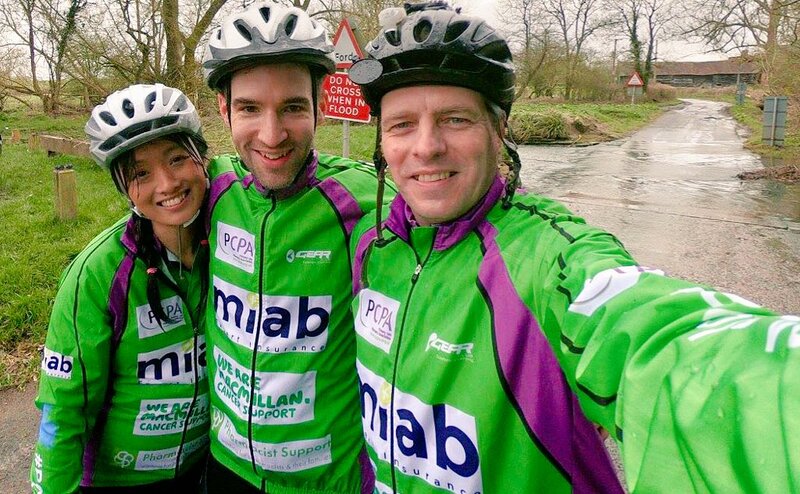 You may remember in 2018 a team of 3 from the PCPA took to a triplet bike to cycle from the RPS HQ in London to the Eiffel Tower in Paris. Well the bikers are back for another #WheelieBigChallenge! 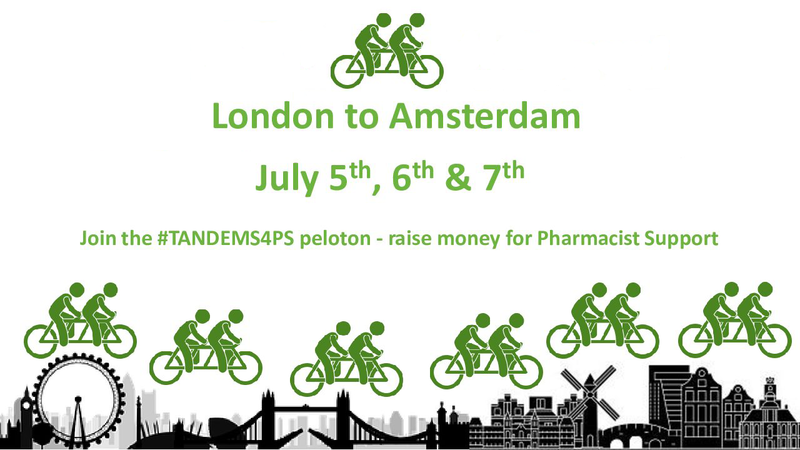 This time they are calling on their pharmacy colleagues to join them for a mass tandem bike ride of 130 miles from the centre of London to the lively capital city of Amsterdam. Forget the Eurostar! What better way to travel between these two bustling capitals than by pedal power – two days cycling through some of the most beautiful countryside and coastal areas both countries have to offer – just you, a friend and one bike! If running’s your thing – why not bag one of our places in the Manchester, Birmingham or London 10K? Registration for our charity places is free, we just require you to raise a minimum sponsorship amount (depending on the event) for the charity. Click here for more info. 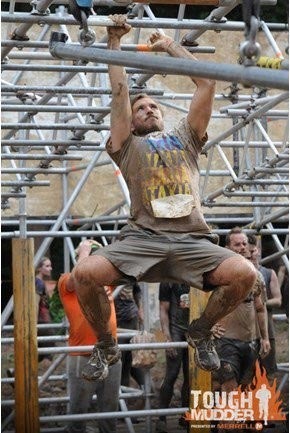 Why not take inspiration from our Brighton Marathon Runner Sebastien. Sebastien is a third year pharmacy student at Kingston University who is hoping to work in hospital or Industry (perhaps in Japan after he graduates!). 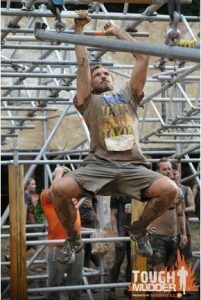 Inspired by other’s who have done amazing things to raise money for the charity, Sebastien is challenging himself to complete the Brighton Marathon. Read more about his champion efforts on his Hero Profile here! Donate to Pharmacist Support without paying tax! Payroll Giving is a win-win for both employees and employers. It’s a simple scheme that allows you to make a regular, tax-free donation, direct from your salary through payroll. Once it’s set up there’s nothing more to do! Donations are deducted before tax so Payroll Giving maximises what you give. Under the current rules, every £1 you donate will only cost you either 80p if you are a basic rate tax payer or 60p if you are taxed at the higher rate. For employers, Payroll Giving can bond teams and is great for staff engagement and morale. It enables a company to increase it’s charitable giving easily and at little cost. Plus, as an incentive an employer can also match-fund staff donations. For Pharmacist Support, Payroll Giving offers a regular, reliable and long-term source of income. Get started today – if you are an employee and want to donate through Payroll Giving click here, email fundraising@pharmacistsupport.org or call 0161 4410317. 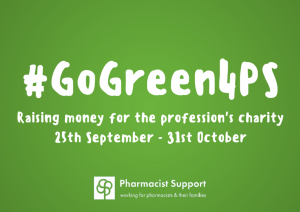 #GoGreen4PS is back! The campaign will return on World Pharmacists Day (25th September) and run until 31st October. So no excuses folks – that’s plenty of time to get your GREEN thinking caps on. Register to take part in this year’s campaign here.